So, for some reason, my printer had a glitch and sent me 100 more calendars that I wasn't planning on having. 😳 They don't want them back either, so what to do?? I say let's turn this into an opportunity to do some good! From today (December 10th) forward, $10 of every VW Calendar purchase will be DONATED to The Animal Foundation shelter in Las Vegas; the facility where I adopted both of my dogs. 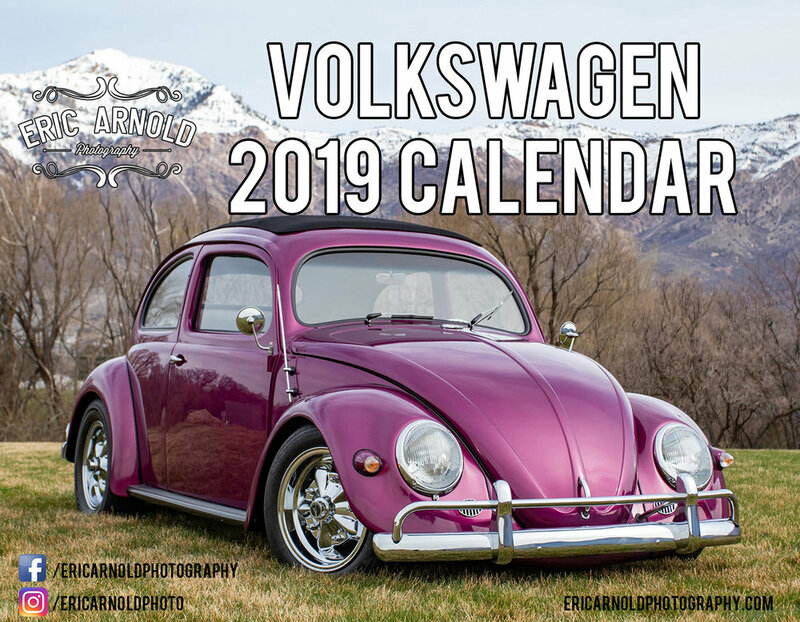 It's that time again...time to pre-order your 2019 Calendars! This year, I have FOUR options to choose from. Yep, four, but more on that in a bit. Everybody wants to know how I pick who gets into my annual calendars. Well, everything in my calendars each year are photos that I took. Seems logical, right? 95% of what you see included are dedicated photo shoots that I did for either a magazine or a personal shoot for the car owner. The rest are from events. There are times I grab a shot at an event that just screams 'Calendar', so it makes it in. With four options this year, you can get the one (or two) that really speak to you as a VW fan. As always, there is the standard 'Volkswagen Calendar'. This one has Bugs, Ghia, Type 3s, etc. 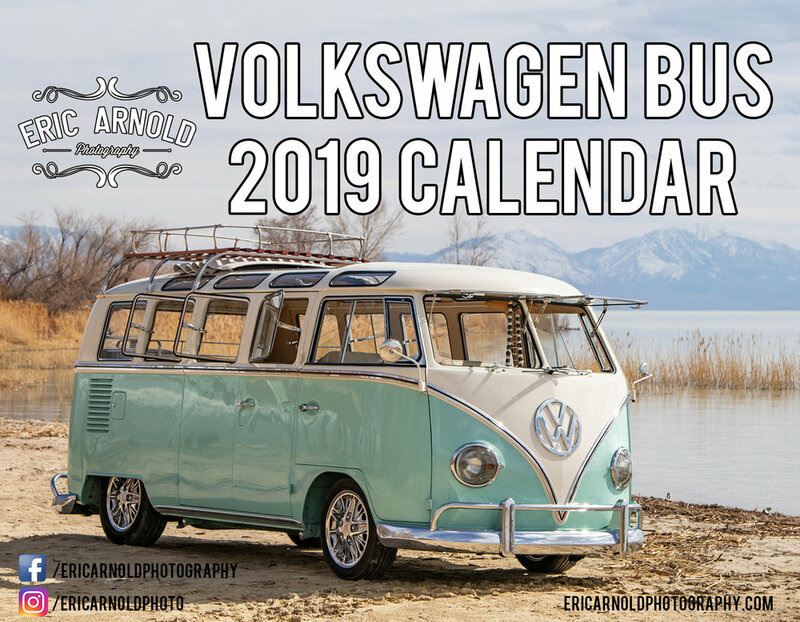 Again this year, I have a 'Volkswagen Bus Calendar', featuring Splits and Bays. 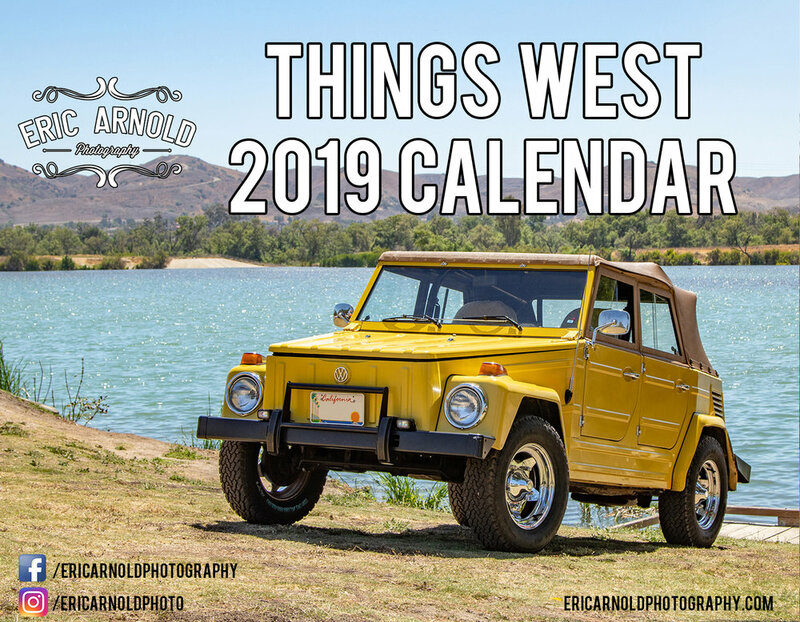 For the second year, a 'Things West' option is available, showcasing Things in attendance at the Things West 2018 event in California. 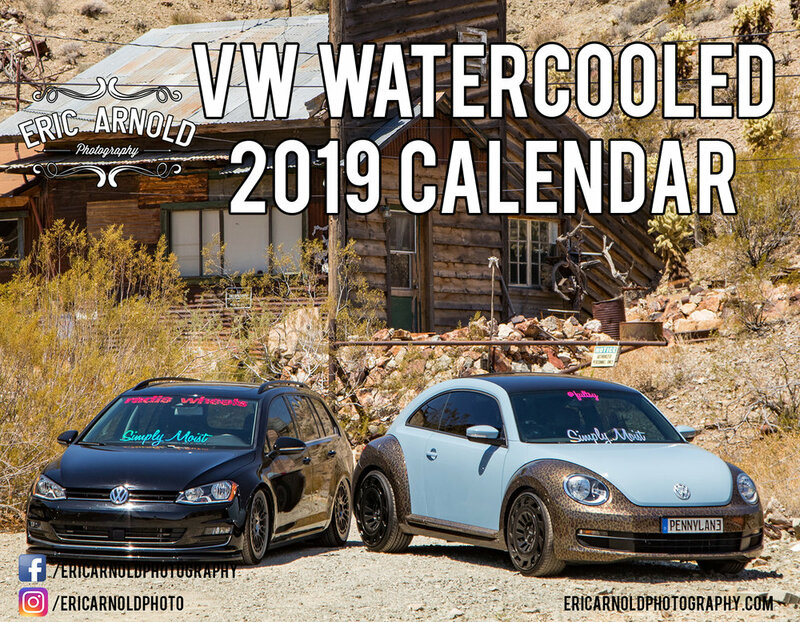 NEW for 2019 is the 'Watercooled Volkswagen' calendar! I love my water pumper fans out there, and this is for you. A few of the shots in this one were from photo shoots, but the majority were taken at events. Seriously, something for everyone here. Calendars are printed on heavy satin card stock, and measure 11x17 when open. They are spiral bound, and easy to hang. I'm keeping the same price as last year: just $24 and FREE SHIPPING in the US. Click HERE to order. Right now, we are in the Pre-Order period. Calendars will ship to you in plenty of time for the Holiday season. They make great gifts! Hit this LINK to check out all the details, and see all the featured VWs!